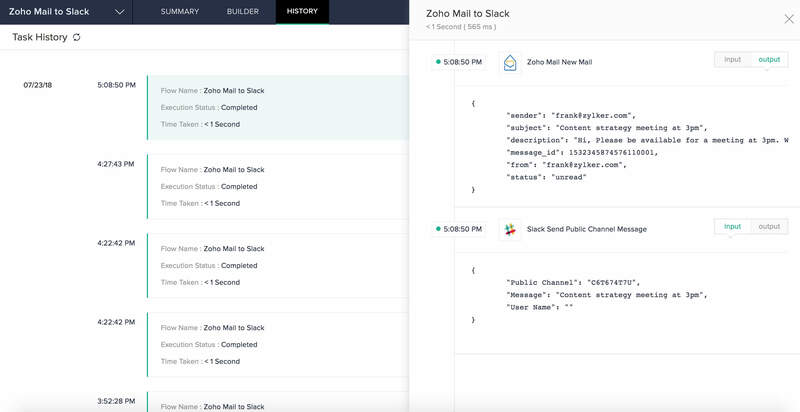 Click on a flow to view its summary, builder, and history. This is where you land every time you click on a flow. 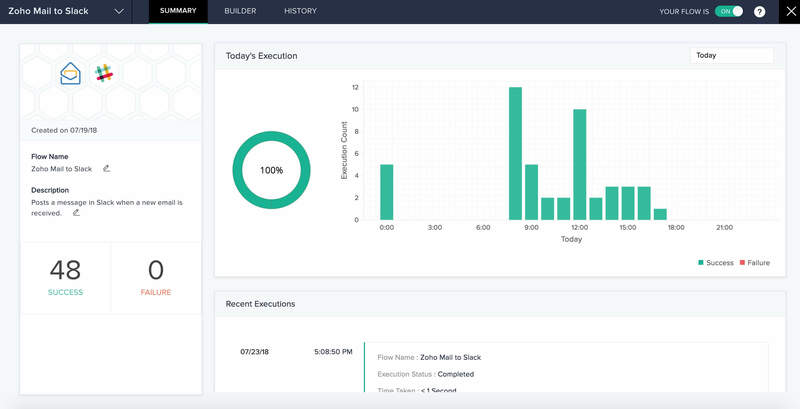 Summary is a dashboard for the particular flow where you can view the record of executions graphically. The recent executions and the list of connections used in this flow will also be visible here. You can test, reconnect, or delete these connections from here. To edit your flow name or description, hover your cursor near the field until the edit icon appears. Click on it, make the required changes, then click outside the box to save your changes. 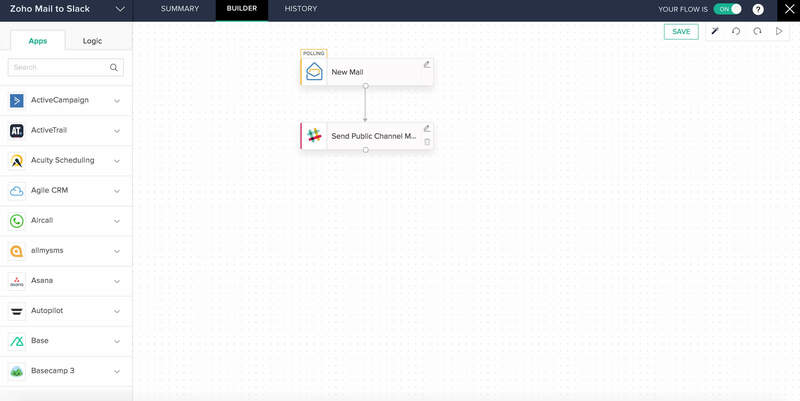 Builder is where you build and edit your flows. The builder tools available in the top-right corner of the builder will help you in this process. Switch your flow on or off using the slide button in the top-right corner of the page. When the flow is switched on, Zoho Flow will detect changes which trigger the workflow. When the flow is switched off, changes will not be not detected. Switching off your flow will not affect the past executions. Task history records every execution of the specific flow. Click on an execution to view more details about it. You can filter the list of executions by status and date for a refined list.